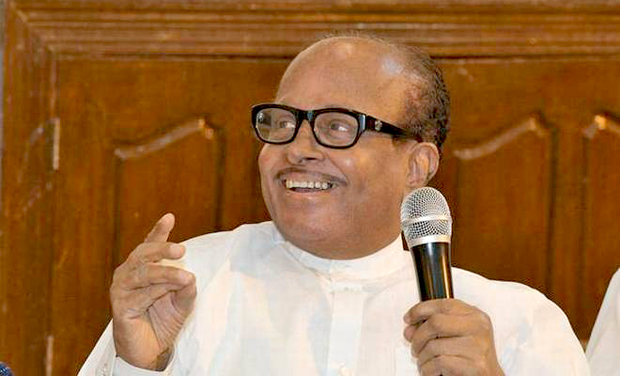 Mangaluru, Dec 7: Mangalore City Police have booked a case against a person for allegedly demanding the 'encounter' of former Union Minister and Congress leader B Janardhana Poojary. The suspect who claimed to be an ardent supporter in his statement said that he was upset with Poojary for his pro-Ram Temple remarks, however had no criminal intent. On Thursday, the Kavoor police booked a case against Hakeem Puttur under IPC 504 (intentionally trying to provoke breach of the peace) and IPC 507 (criminal intimidation). The development comes less than a week after the alleged voice message circulated against 81-year old veteran Congress leader. In the 'audio', Hakeem has allegedly criticized Poojary, after the leader spoke in favour of the construction of Ram Mandir. Hakeem further demanded that Poojary needs to be 'encountered' or deported from the country along with everyone who demands for Ram Mandir. Going further, the message also demanded the explanation from Congress on why party functionaries were retaining Poojary for so long despite his questionable actions that destroyed the party at polls. "Poojary's statement against Siddaramaiah during the previous Assembly election, lead to the downfall of Congress in Dakshina Kannada... once involved in the destruction of the image of the party, how can one take claim for its growth?” he questioned. While former Mangaluru South MLA, J R Lobo had filed a police complaint against the voice-message and had sought a detailed probe, even Dakshina Kannada MP Nalin Kumar Kateel had expressed condemnation. Meanwhile, taking on the 'voice message' (authenticity of the voice, could not be verified till the publication of this report) route again, the suspect allegedly floated another message, while apologising for his remark against Poojary, he reiterated that the former Union Minister should not have made remark favouring the construction of Ram Temple. "I have not said anywhere, I will kill Poojary. I have only said that anyone who violates Constitution, including Poojary must either be killed in an encounter or deported out of the country... Being a Congress leader how he can make such statements when the matter is in the court," the voice said.